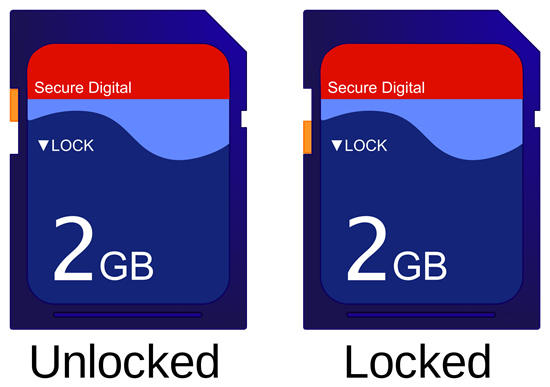 SD card write protection is one of the biggest headache when in use. You are not allowed to modify or delete files on the card. On the one hand, it protects the original file and prevents maloperation. On the other hand, it avoids the virus attack on file. But it is troublesome when we need to release the SD card space. Here are some often used methods to help you remove write protection from Micro/SD card. Normally there is a lock switch on the left side of the card. You can pull the switch to the other side to unlock it. If the lock switch looses or can be moved easily, then fasten it, or it’s time to replace the card. A. Right click your SD card and select format. Click “Restore device defaults” and start to format the card. B. Format SD card using cmd. Click Start and enter “CMD, Format D:/”, then it will automatically complete the formatting process. C. Try SD card format software to wipe the card. D. If there are significant files on the card, try professional data recovery software like RePicvid Free Photo Recovery to get files back without formatting. What if your SD card doesn’t have any switch and windows fails to format the card? Don’t worry, please continue to try the following methods. Click Start and type “regedit” to enter Regedit Editor. Click “Write Protect” and set the value to 0. After the above steps you should be able to use your memory card normally. 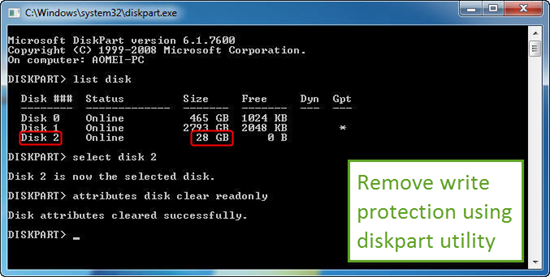 If the above method does not help you to solve the problem, you may use Windows command prompt to disable write protection from SD card. Click Start and enter cmd. Then input “diskpart” to open the utility. Type “list disk” and press Enter. Type “exit” and press Enter to end the process. Now you have removed the write protection from SD card and are able to transfer the files or format the card. Run antivirus to scan the write protected SD card. 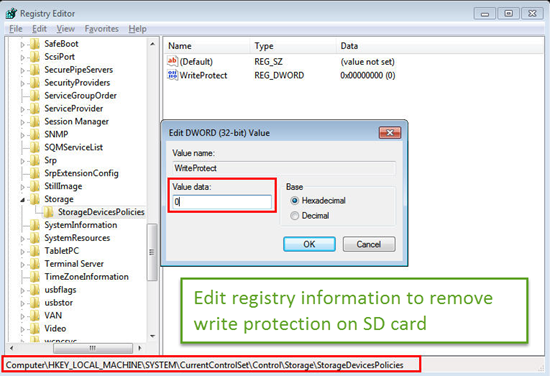 This method could also disable the SD card write protection. Right click the SD card and select Properties > Security > Edit. Then change the permission of the SD card on “Full control” “Read & excute”, “Read” and “Write”. If your SD card is inserted in mobile devices, don’t forget to check the device settings to unlock the card.